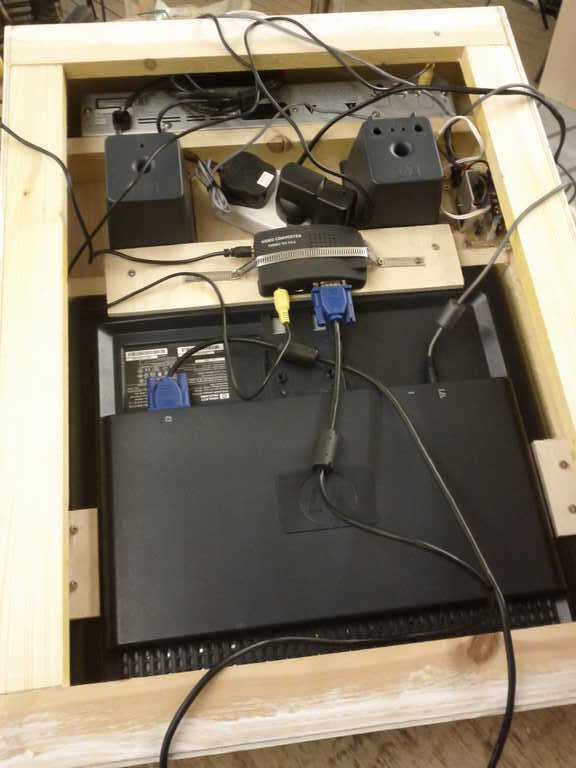 I’ve just put the finishing touches to a pedal-powered DVD player which will be installed at a Stubbington Study Centre in Hampshire. This pedal generator is designed to be entertaining and fun, while also being educational and robust. In this post I’ve put up videos of the unit in action, along with build details. Here are the three units wire together. 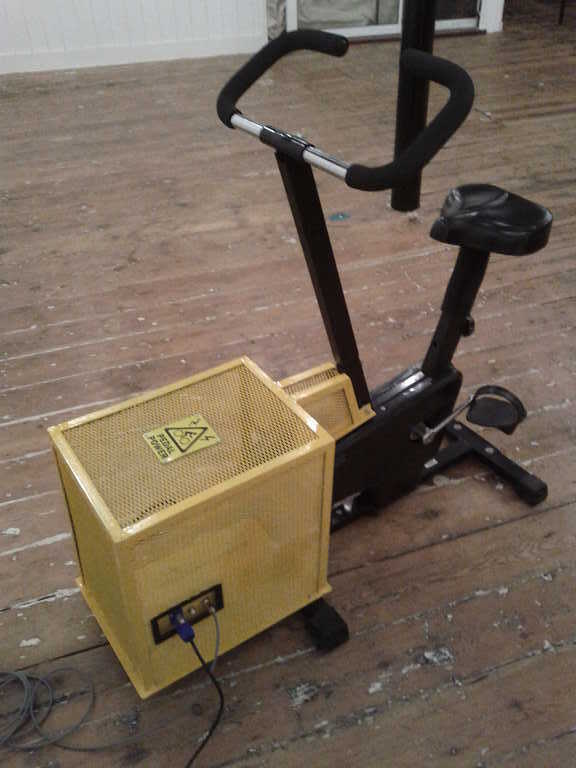 This is the pedal generator unit. 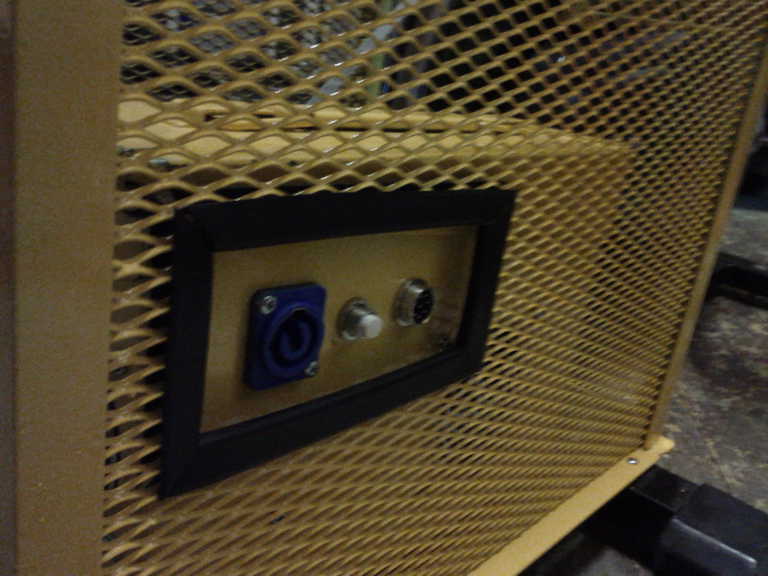 The yellow cage protects the generator and voltage regulator. 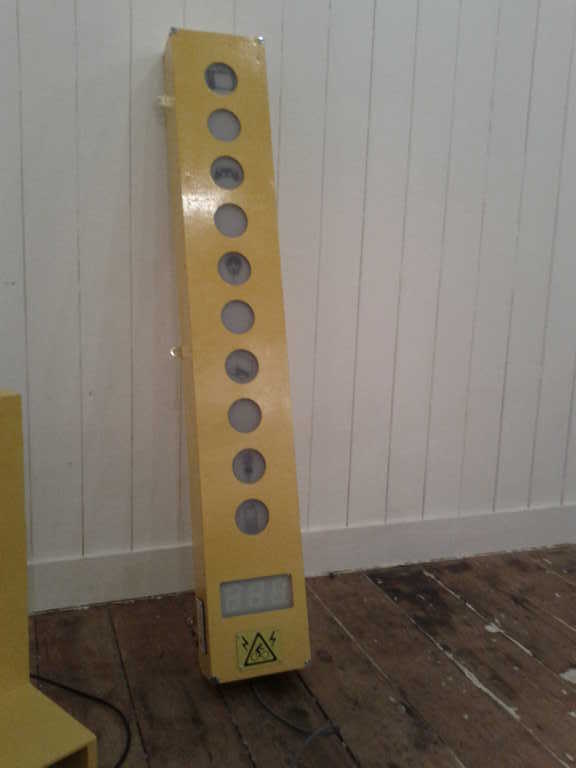 The large bar-graph display – each light equates to 10 watts of power. There is also a digital read-out of the power in watts. The DVD and LCD screen unit – all built in to a wall mounting unit with speakers and amplifier. If you are interested in similar units then please get in touch. 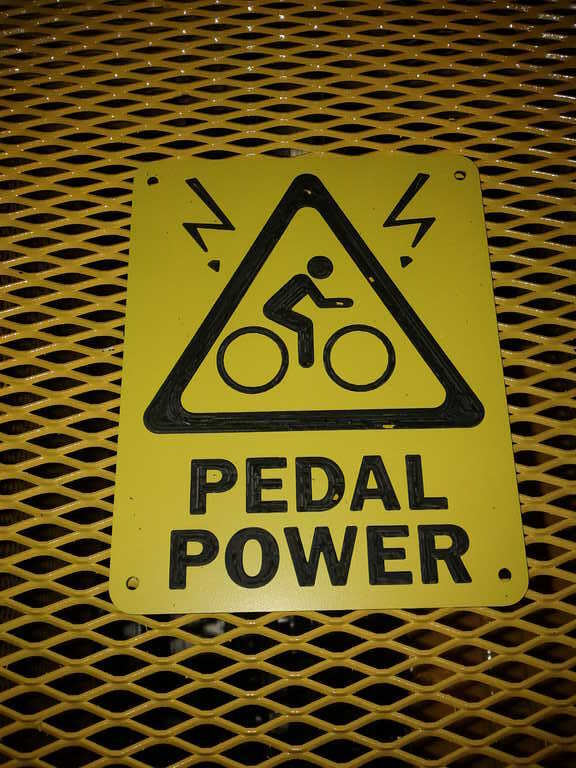 We can provide pedal generators for a range of situations. We try to make entertaining but also informative devices to help people understand concepts of power, energy, environmental and fitness issues. 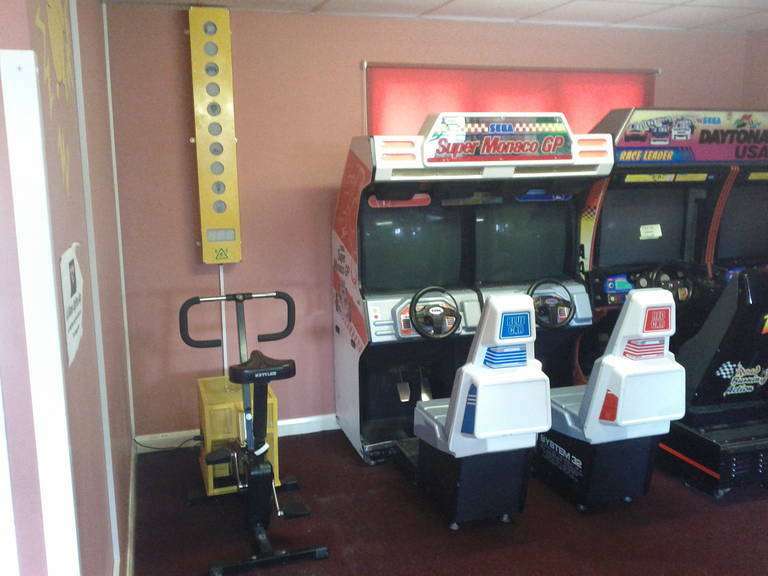 Its installed in the games room next to some car racing games. 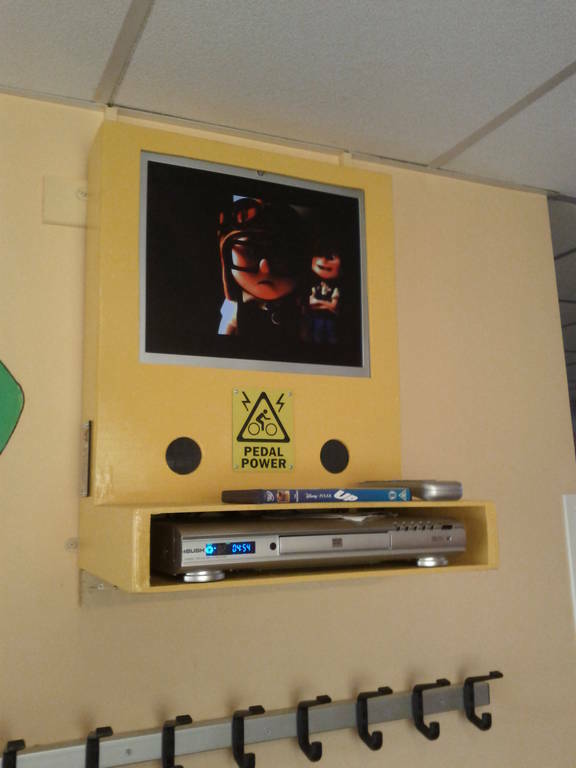 The DVD is mounted on an opposite wall. This means the young folk must encourage each other to pedal and work as a team to be able to watch a DVD. 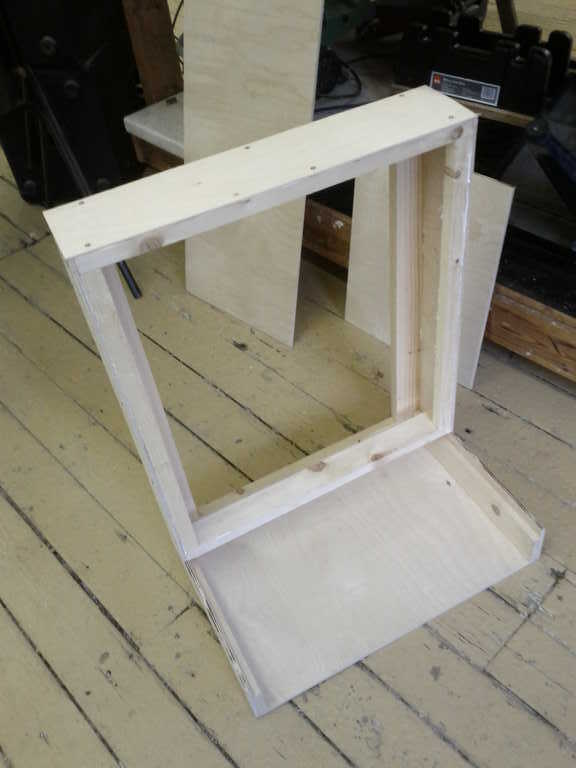 We are also interested in helping people build their own, so here are some details of the construction of this generator unit. 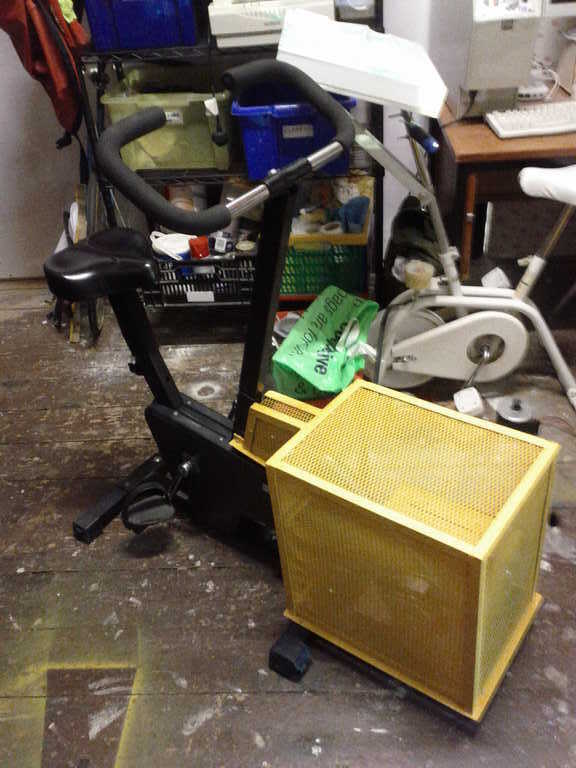 The generator started as an exercise bike. The flywheel usually has a friction strap around it. This is removed and replaces with a toothed belt. 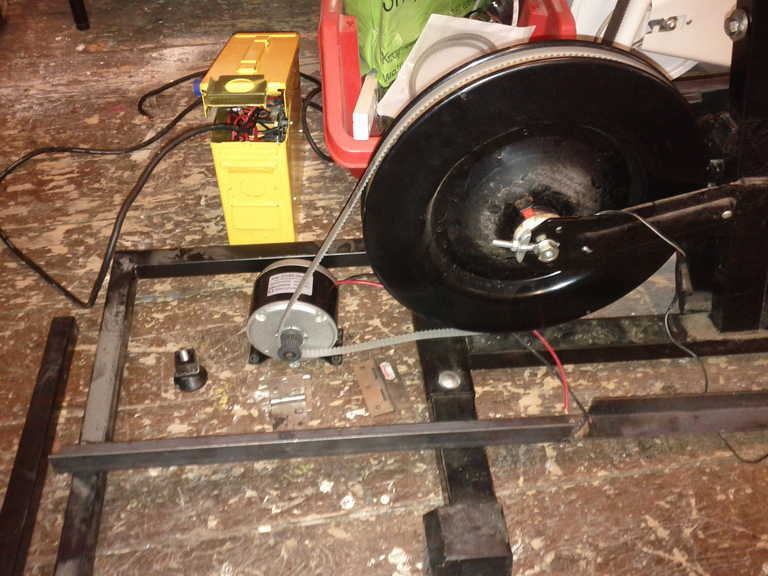 A 250W 24V DC permanent magnet scooter motor is used as the generator. This has a toothed wheel on the spindle, which is the same pitch (5mm) as the toothed belt. 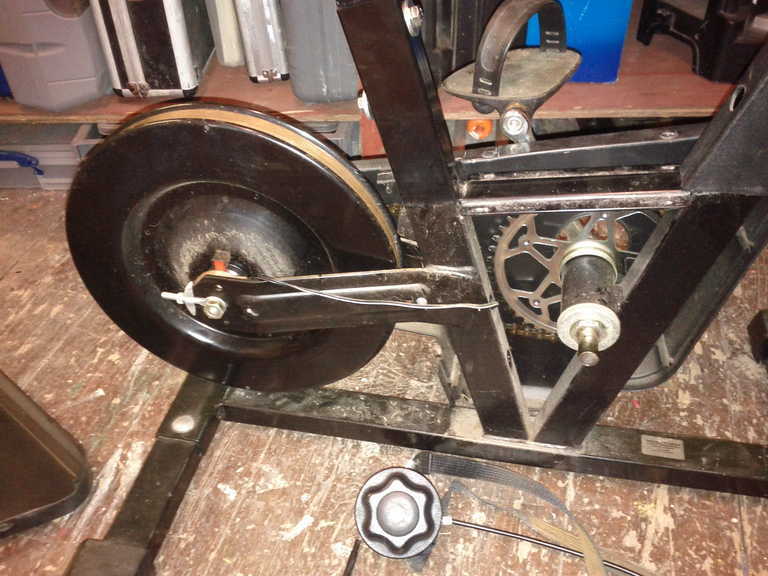 To get the correct pedal speed ratio I used a toothed wheel with 30 teeth on it (I tried 12 teeth and that was a high ratio and 48 teeth which was a low ratio – neither of them felt correct – you either had to pedal too fast or too slow). 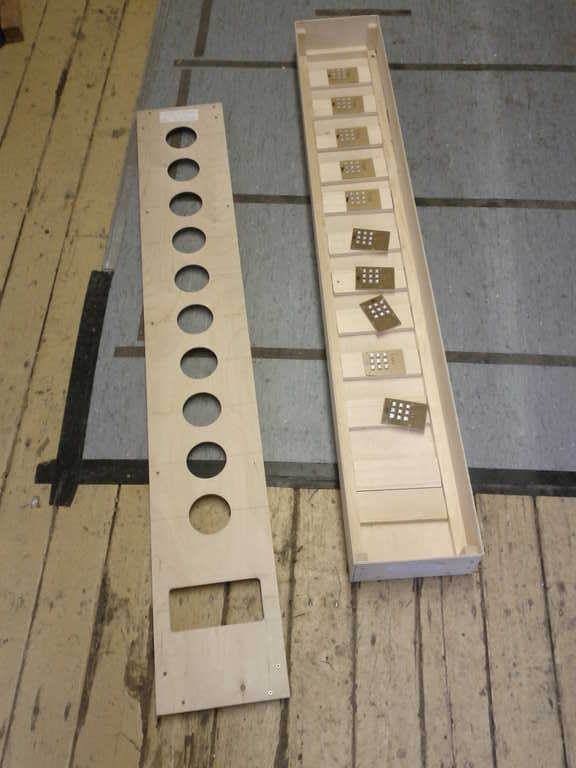 A cage was built to protect fingers from the rotating parts. 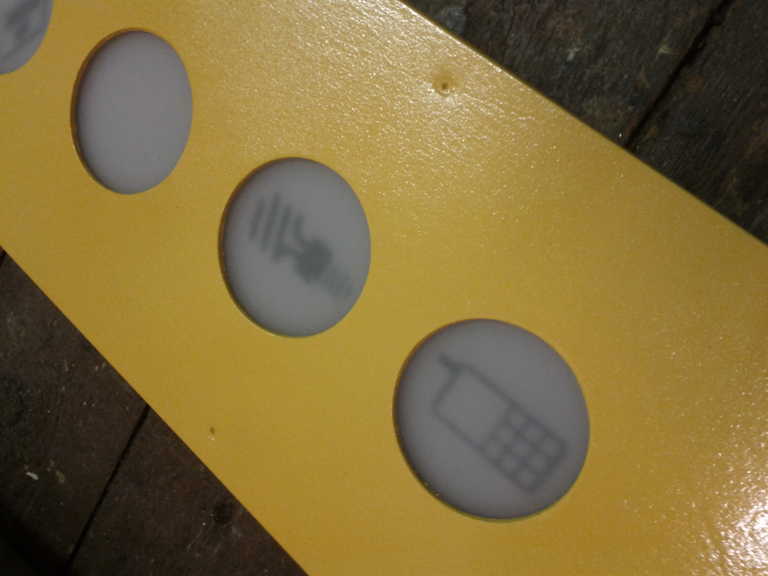 These are the connectors for the 12V power to the screen and connections to the bar graph. There is also a resettable fuse, in case of a short circuit. 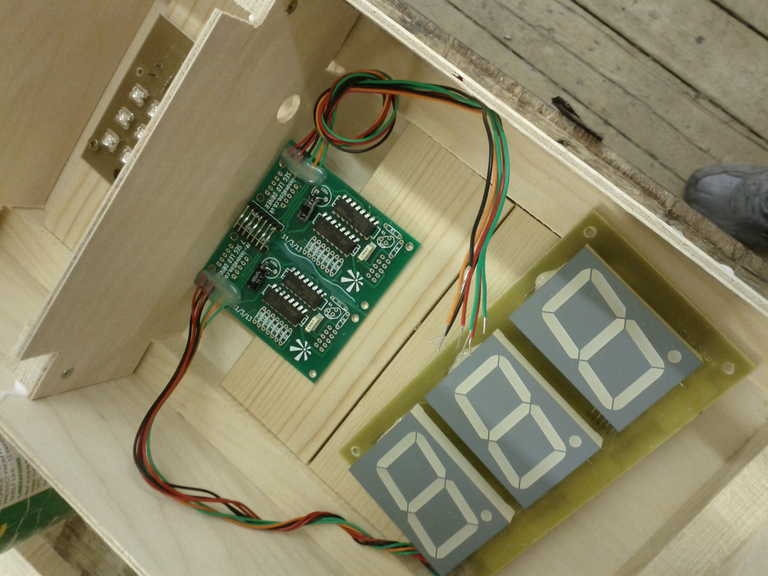 The unit was built out of 5mm plywood with 10 x LED boards. There is a large 7-segment unit displaying the power. 5 x shift registers control the LEDs. The unit has acrylic diffusers with back-lit images for the different power levels (thanks, Dominic). 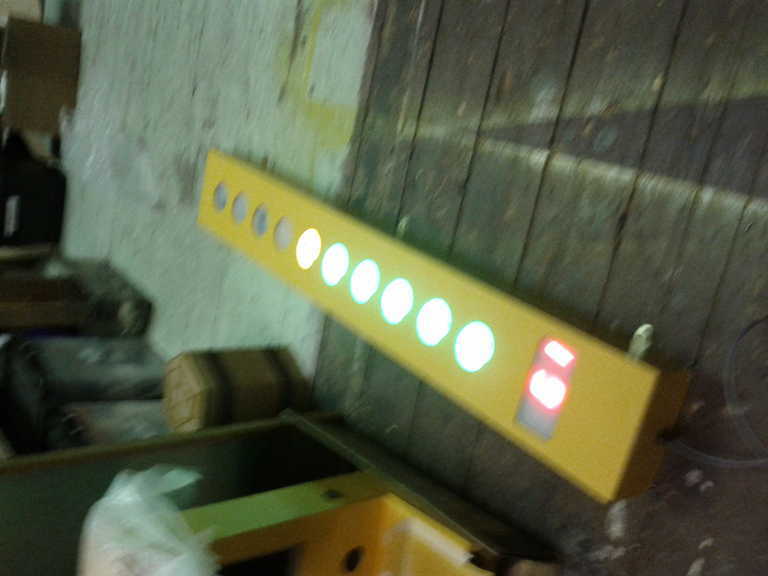 Its hard to get a good photo when you are also pedalling – hence this blurred photo of the LED unit in action. Check out the video for better images. 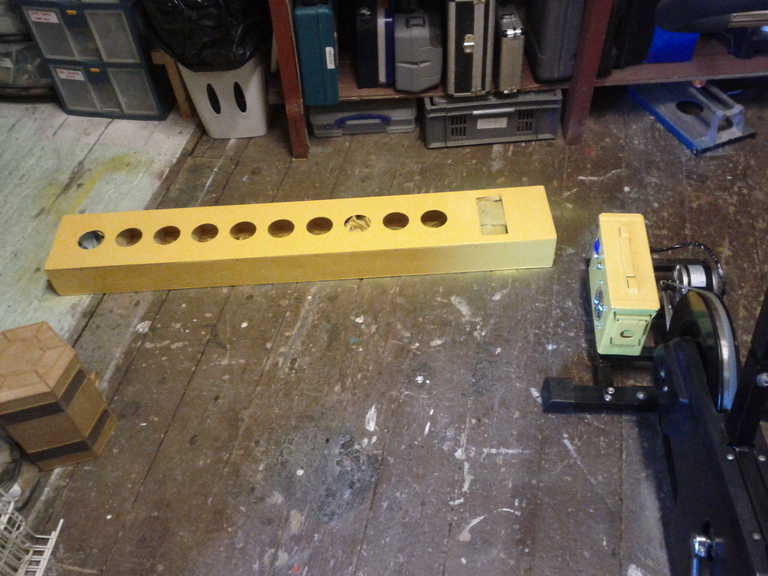 The wall mounting unit is based upon a wooden frame. 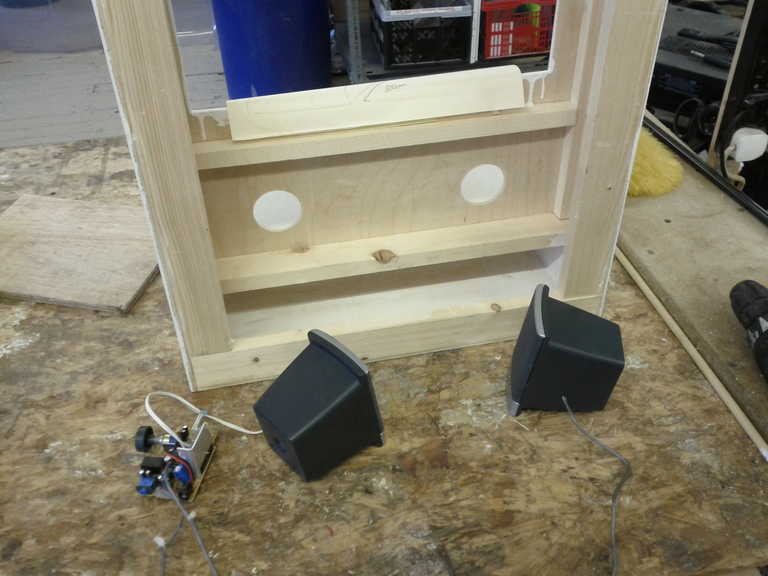 Speakers and an amplifier are built into the unit. The volume control knob is available on the side of the unit. Most of the wiring is pretty standard, although there is quite a lot of it. 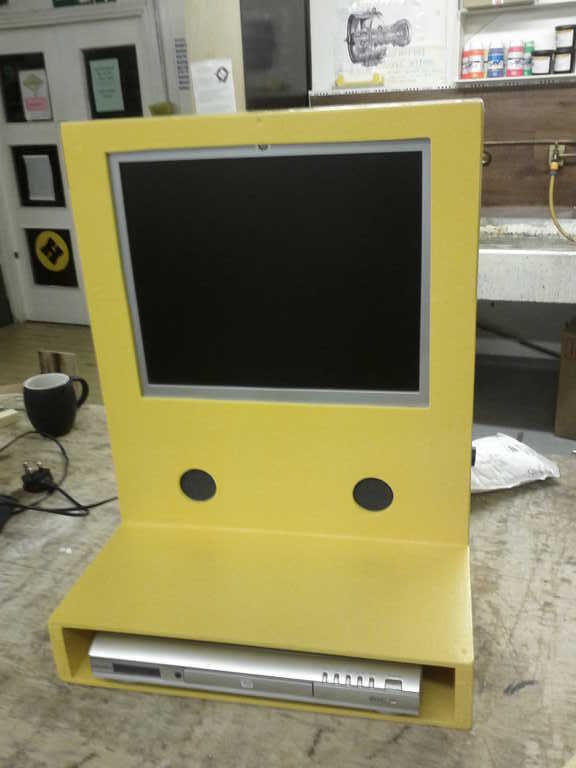 The LCD unit is a 19″ VGA computer monitor. It was especially chosen as it has a 12V DC power input. Hence I could power it directly from the 12V DC generator. It takes about 30W when running. 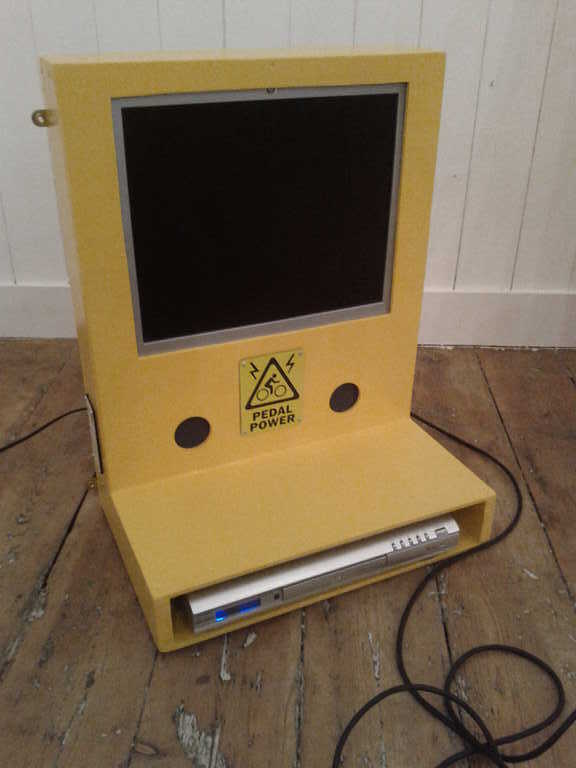 The DVD is a standard mains powered unit. 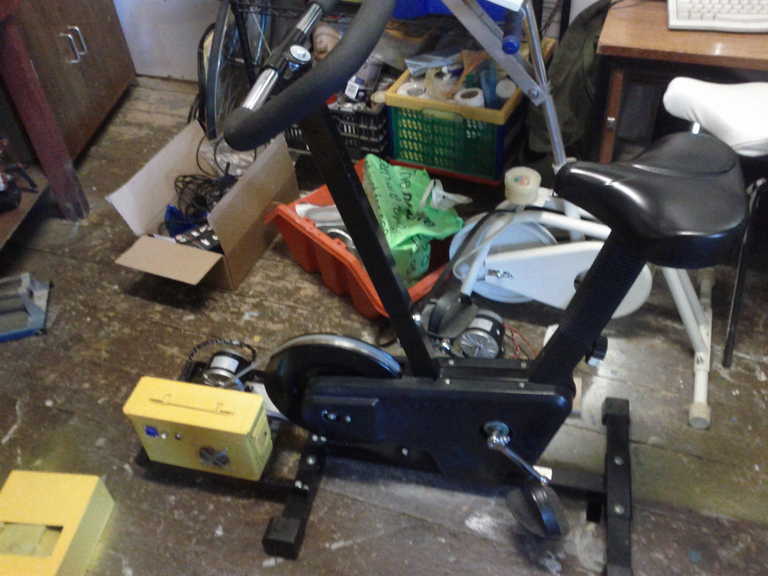 I needed to use a mains supply or else the DVD will reset when the cyclist stops pedalling. There is a 12V input from the generator which powers the LCD and the amplifier and speakers. The video output from the DVD was not compatible with the VGA input to the LCD monitor. 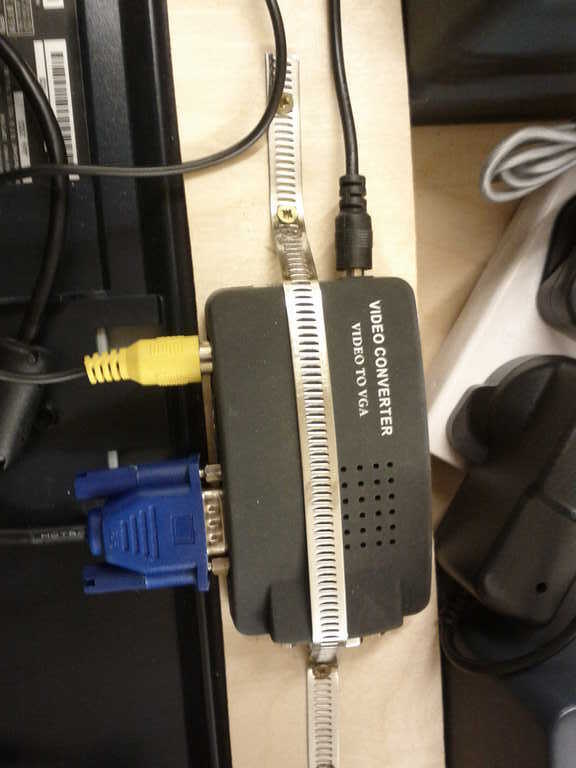 I needed to use a video to VGA converter. This unit (from eBay) works really well, even when the signal is lost. Testing the (almost finished) unit. Excellent project – well done. 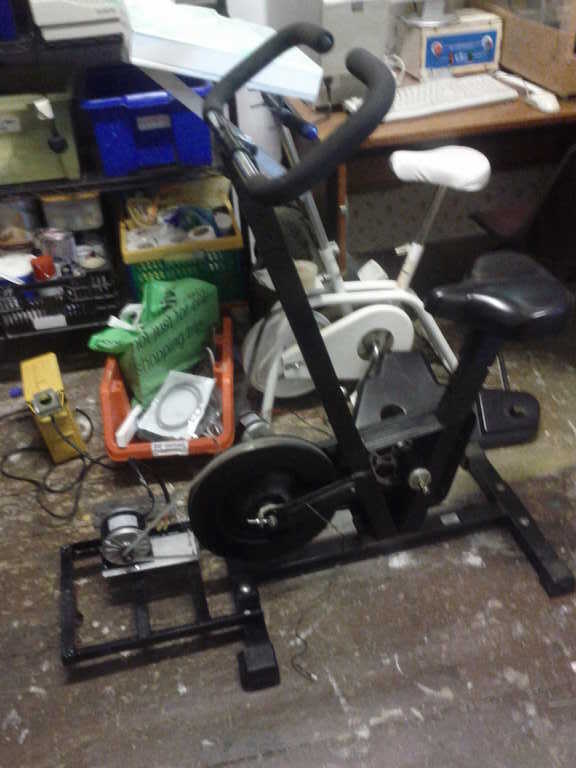 We are looking at making a bike powered generator to demonstrate man-power, relationship between mechanical power in and electrical power out, loading effects of a loaded generator, benefits of high efficiency lighting v filament bulb lighting etc. 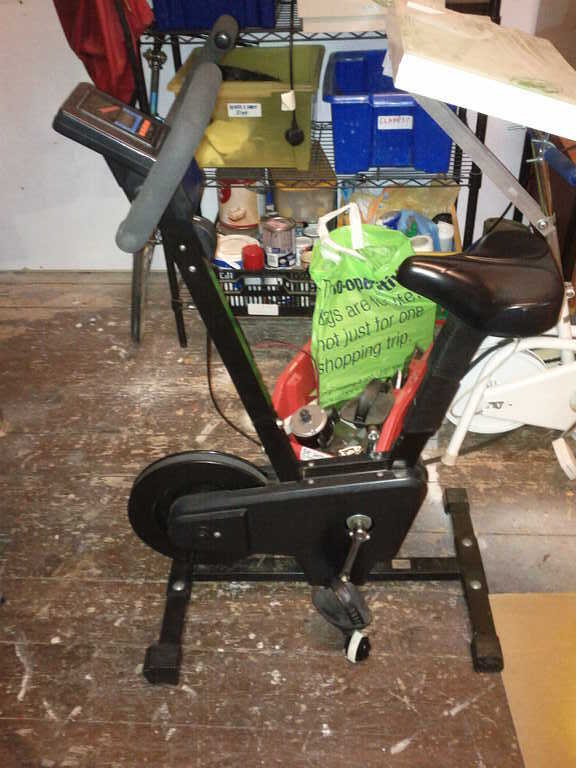 Have been weighing up the relative advantages/disadvantages of the different approaches eg yours – complete system v separate generator and bike stand with friction drive from rear wheel. Both look good.